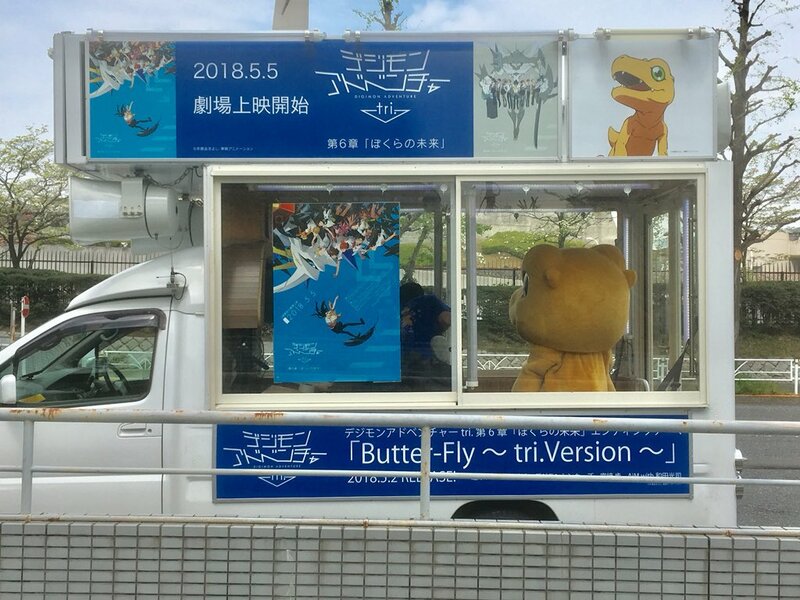 Agumon Car to Drive Around Tokyo This Saturday! 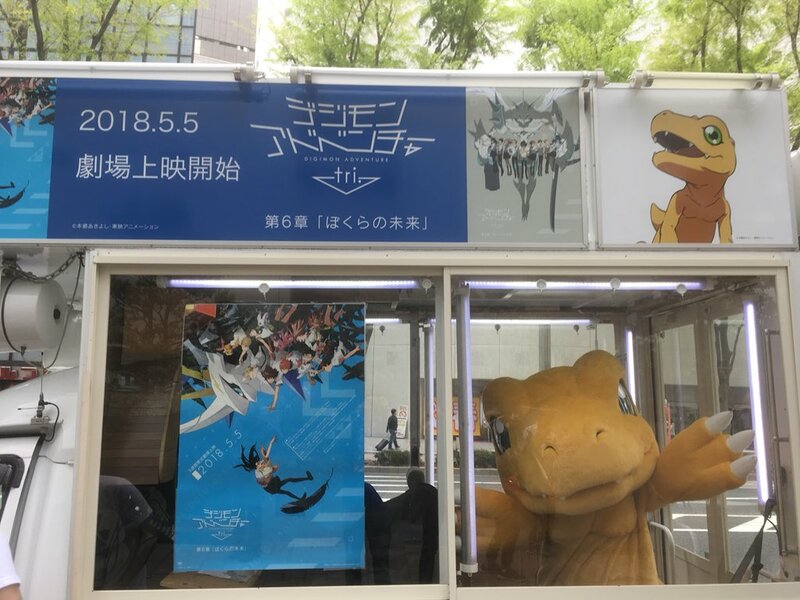 Thread: Agumon Car to Drive Around Tokyo This Saturday! 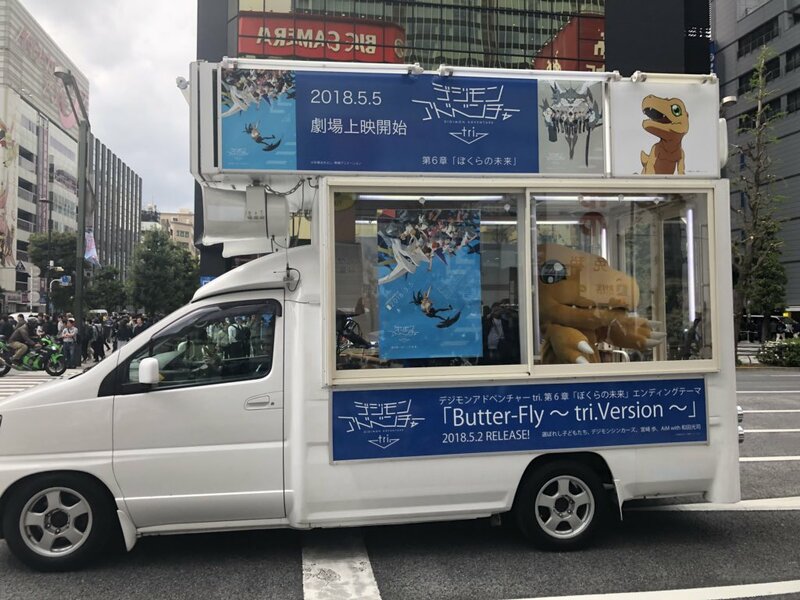 A car will be ferrying Agumon around different locations in Tokyo to say hello to fans as part of the celebration of tri. Part 6 coming out soon. 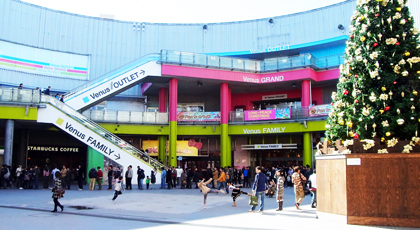 And the car will finish off it's journey at 4:30pm for greetings at the Palette Plaza at the Odaiba Venus Fort. 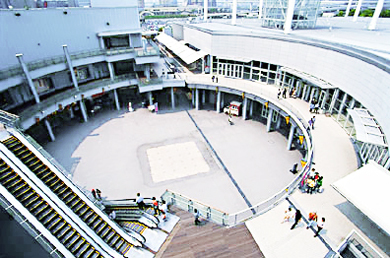 They plan to move it to the 1st floor of the Odaiba Venus Fort (near the main gate) if there is rain. It should be noted these are all estimated times since they will be driving around and changes might come up. 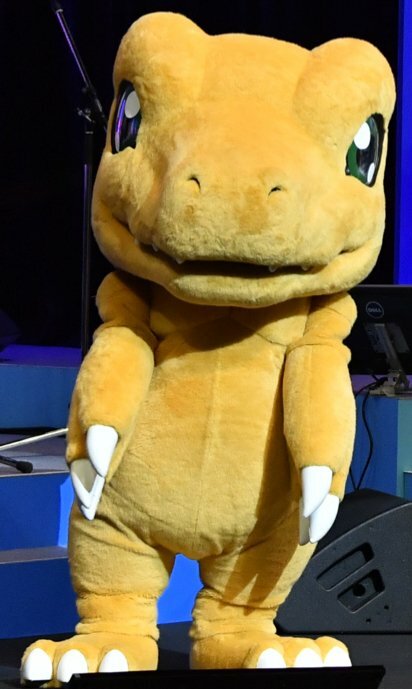 Hopefully we get some fantastic photos of Agumon saying hello to everyone. 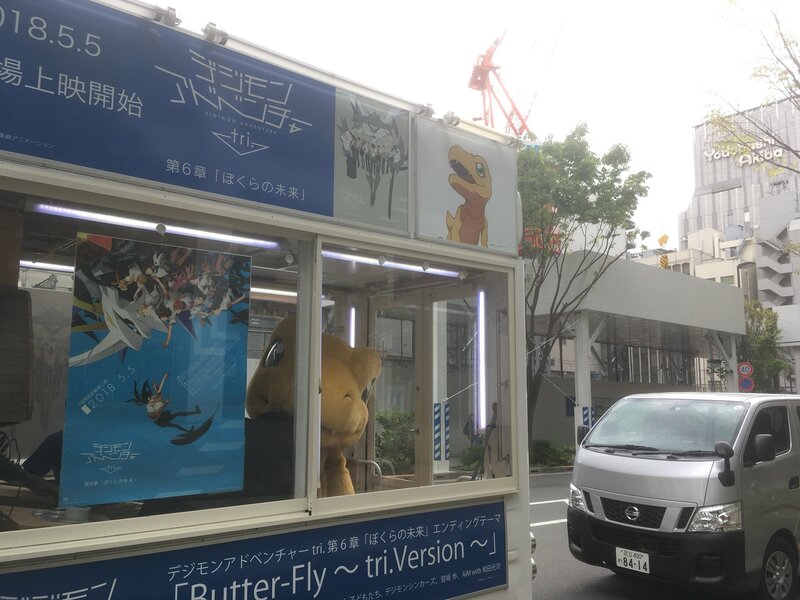 Update- The Agumon Car is driving around and we've been retweeting photos and videos from various users on our Twitter. Some official images and a shot from our friend NifaAoki. I wonder if he'll be driven around in a Toyota since Toyota has some sort of showroom/museum/test track at Venus Fort. This is fun and awesome. Sure would be something to see drive around. 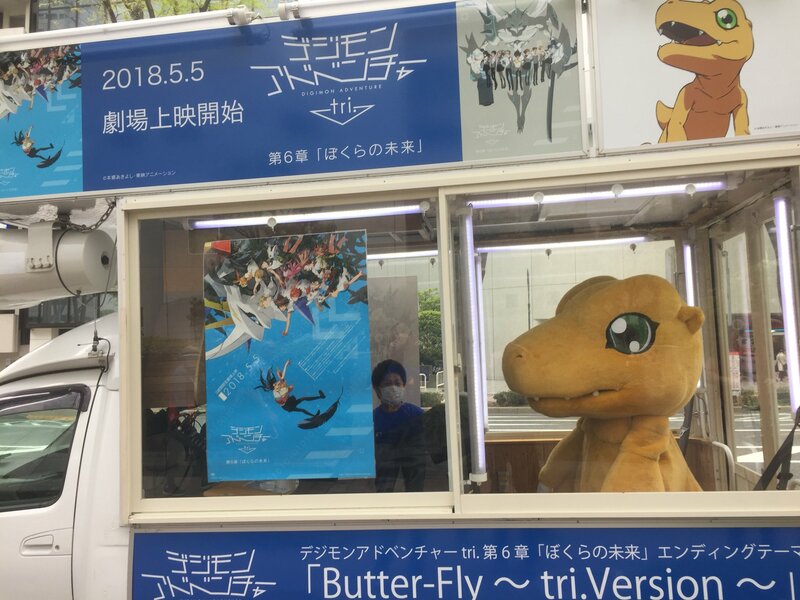 Added some official images of the Agumon Car! That's a van lol. I guess it digivolved already. You know I wondered how that was going to work. Thanks.